Habitat for Humanity International’s board of directors has elected Mary Mack, Wells Fargo & Company’s senior executive vice president and head of Consumer Banking to join the board and lend her expertise to the leading global housing nonprofit. The NCAA today announced a five-year, $2.5 million donation to Habitat for Humanity to support building or repairing decent and affordable homes in partnership with families impacted by natural disasters. More than 22 million people have secured new or improved housing through Habitat for Humanity since the organization was founded in 1976, with more than 8.7 million people served in the last year alone. EXIT Realty Corp. International, a real estate franchisor with brokerage locations across the U.S. and Canada, today announced its support for Habitat for Humanity’s long-term recovery efforts following hurricanes Florence and Michael with a contribution of $400,000, designating $200,000 to each response. Habitat for Humanity commemorates this Veterans Day with a milestone of repairing, renovating or constructing the homes of over 1,000 U.S. military veterans and their families thanks to The Home Depot Foundation’s generous support of Habitat’s Repair Corps program since 2011. Delta employees recently worked alongside two Atlanta families to put the final coat of paint on the 10th and 11th Habitat for Humanity homes funded by the airline’s Inflight Recycling Program. The Harry and Jeanette Weinberg Foundation today announced a gift of $1.25 million to Habitat for Humanity to support aging-in-place services for low-income older adults. Habitat will implement a program designed by Johns Hopkins School of Nursing that combines services in nursing and occupational therapy with Habitat’s expertise in home repairs. President Jimmy Carter and former First Lady Rosalynn Carter have donned their hardhats and lifted their hammers for their 35th work project with Habitat for Humanity. Building alongside volunteers and future homeowners, the Carters are helping to build 22 new, affordable homes this week in what will become an all-Habitat neighborhood in Mishawaka. More than 200 ISEC employees will build or repair homes alongside Habitat homeowners this year through the company’s national partnership with Habitat for Humanity. Their efforts will help revitalize neighborhoods in Canada and seven U.S. states, including California, Colorado, Florida, Maryland, Nevada, Texas and Washington. Nissan North America continues its long-standing partnership with Habitat for Humanity with a $1 million donation to help build affordable homes in partnership with families in need of decent housing. 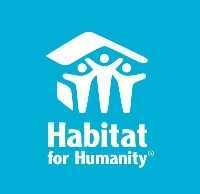 Nissan’s contributions to Habitat for Humanity in North America amount to more than $15.5 million over the past 13 years. For the 11th year, Habitat for Humanity and Lowe’s will host the annual National Women Build Week from May 5-13 where thousands of women volunteers and Habitat homeowners will unite nationwide to build up their communities and gain skills in home construction. “The landmark Fair Housing Act put an end to despicable forms of discrimination that put up barriers to millions of Americans who were seeking better lives for their families,” Reckford said. “But no one should be satisfied that the progress brought by the Fair Housing Act solved fair housing in America. Far too many millions of Americans still face enormous barriers to decent and affordable housing. In a strong and bipartisan show of support, the U.S. House of Representatives approved the Housing Opportunities Made Easier, or HOME, Act, a bill that would clarify law allowing home appraisers to donate their services to organizations like Habitat for Humanity. Simpson Strong-Tie is renewing its partnership with Habitat for Humanity to continue supporting the housing organization’s efforts to make homes resilient to disasters. This is the 12th consecutive year of the partnership to help more families in need of a decent and affordable place to call home. To date, the manufacturer of structural product solutions has contributed more than $2.75 million toward Habitat’s mission. The Christian housing organization has since grown to become a leading global nonprofit working in local communities across all 50 states in the U.S. and in more than 70 countries.